The good thing about this kit is that several of the products are available on your own, so if you see something you like, chances are you can pick it up even if you didn't sign up the TSV auto-delivery. 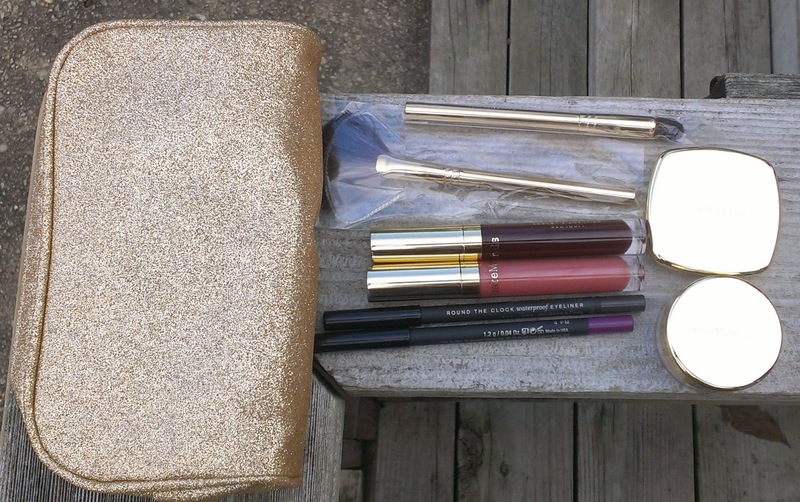 The kit contains the bareMinerals Ready Eyeshadow 2.0 in The Cliff Hanger; Round the Clock Waterproof Eyeliners in 4PM and 11PM; Pure Radiance All-Over Face Color; Marvelous Moxie Lipglosses in Spark Plug and Dynamo; Eye Shaping Brush; Light Stroke Fan Brush; and a gold makeup bag. My favorite part of all of these kits was the Ready Eyeshadow duos and this kit was no exception. I've spoken before about how much I like the formula of these shadows - they're just super pigmented, smooth and easy to blend. 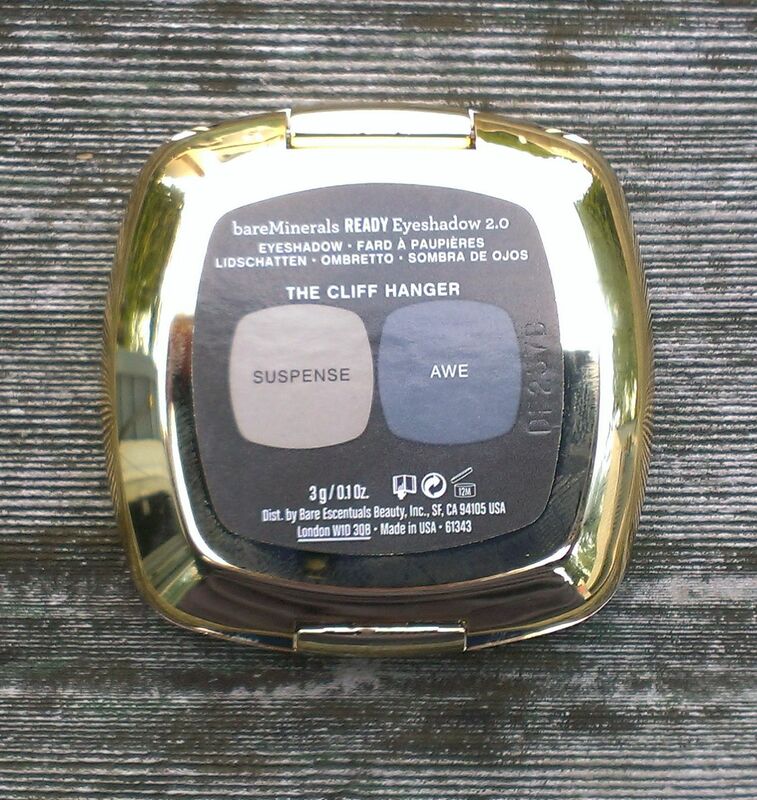 This installment contained the duo in The Cliff Hanger, which includes Suspense, a matte stone shade; and Awe, a gorgeous satin-y violet. 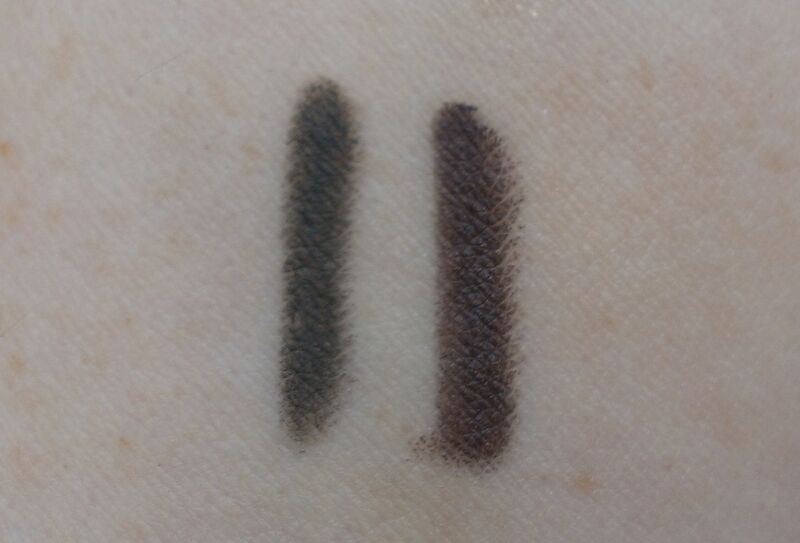 I haven't had a chance to wear this duo yet, but swatching the shades, the quality seems to be right on track with all the other duos. I particularly love Awe, which is such a lovely grayed violet. You can purchase The Cliff Hanger on its own for $20 at Sephora and the BE website. I like the Round the Clock Eyeliners quite a bit - they're creamy and easy to apply and last all day long. 4PM is a deep dark purple, while 11PM is a charcoal. Again, I haven't had time to try this yet, but I'm super excited. I love gray eyeliner and I'm almost out of my MAC kohl liner in Phone Number so I'm hoping 11PM will be a nice replacement. Dark purple liner is another of my favorites - it's a nice change from black or brown - and this one looks rich enough to define the lashes nicely. Unfortunately, I don't think either of these shades can be purchased separately. At least, I couldn't find them at Sephora or the BE website. 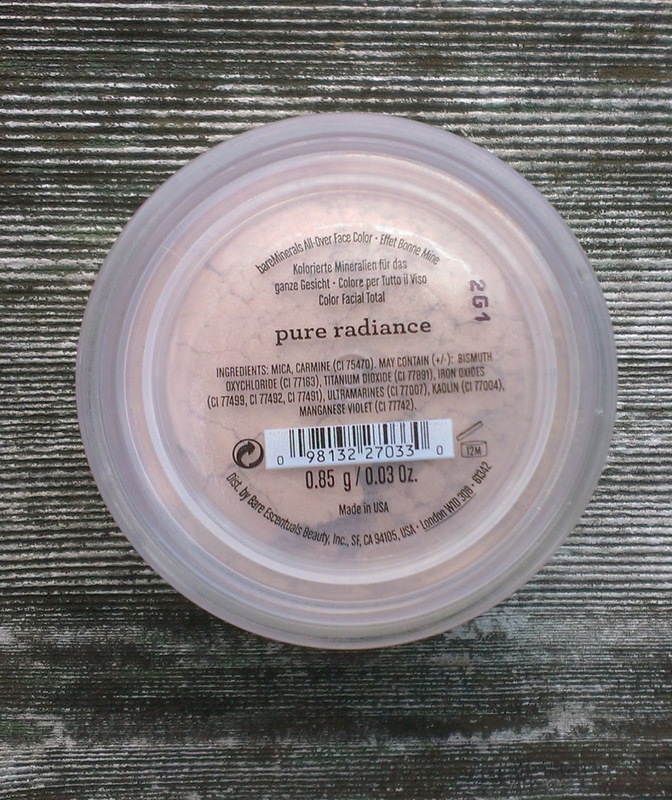 I already own a Pure Radiance, but it's part of a duo with Tropical Radiance and I'm almost out. This is one of BE's All-Over Face Colors, but I personally think it's way to shimmery to go all over the face. 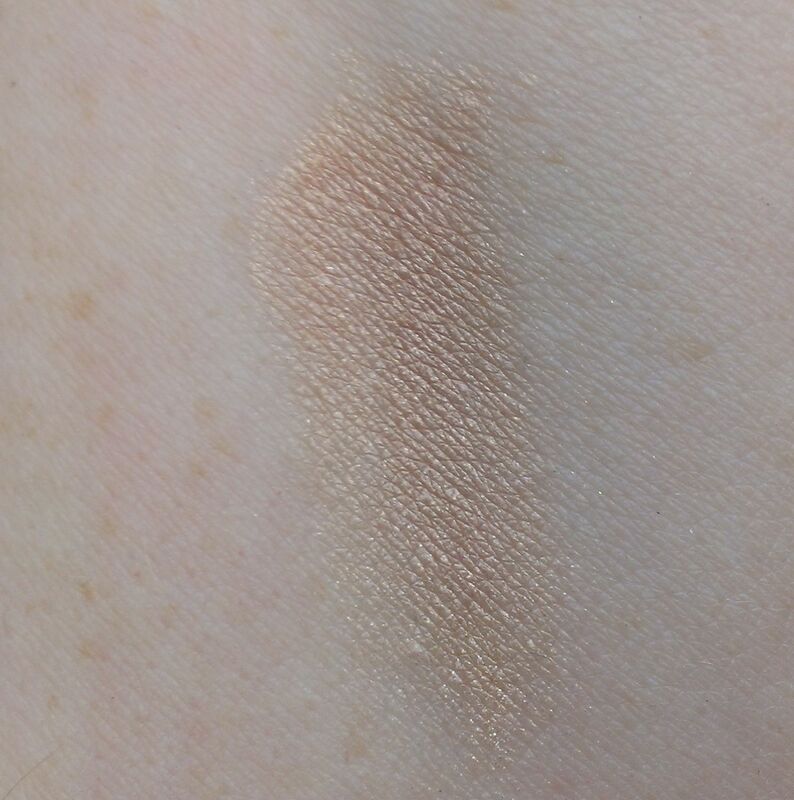 I use it as a blush since it has a pretty golden-peach color. Darker skin tones might like it as a highlighter. You can purchase this on its own at Sephora or the BE website for $19. I've really come to like the Moxie Lipglosses. 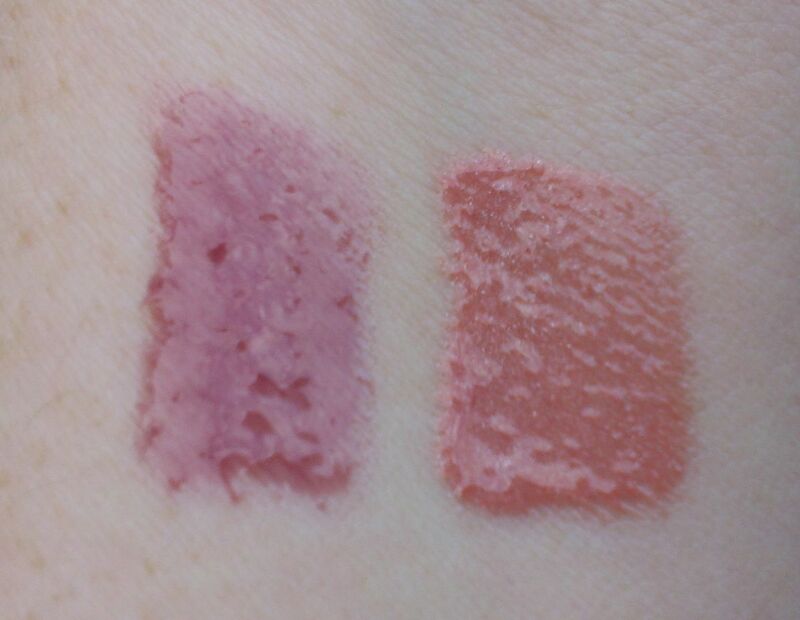 I still like the BUXOM glosses better, but these are a nice alternative. The kit comes with Spark Plug, a pink pearl shade, and Dynamo, a sheer blackberry. FYI - Spark Plug looks much warmer in these photos than it actually is. I'd call it a neutral bronze-y pink shade, I think. Dynamo appears pretty accurately, though. It's much lighter than it appears in the tube. Spark Plug is available for individual sale at Sephora and the BE website for $18. I don't think Dynamo is, though. 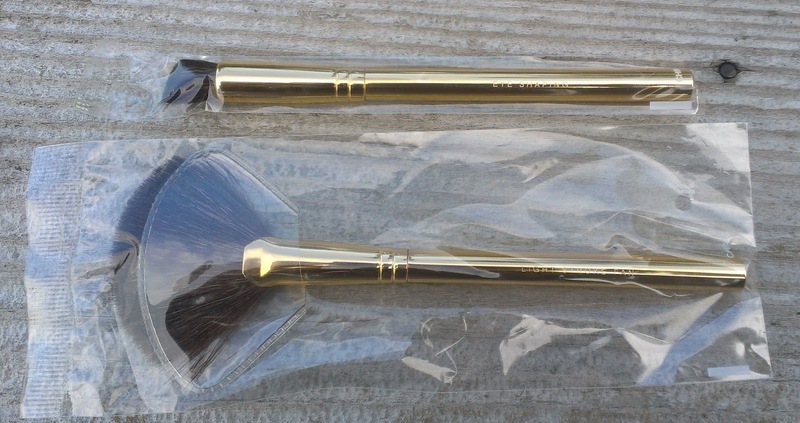 Finally, the kit comes with two brushes and a gold cosmetics bag. The Eye Shaping Brush is an flat, angled brush that works well for applying a wash of color (I already have one) and the Light Stroke Fan Brush is your typical fan brush. 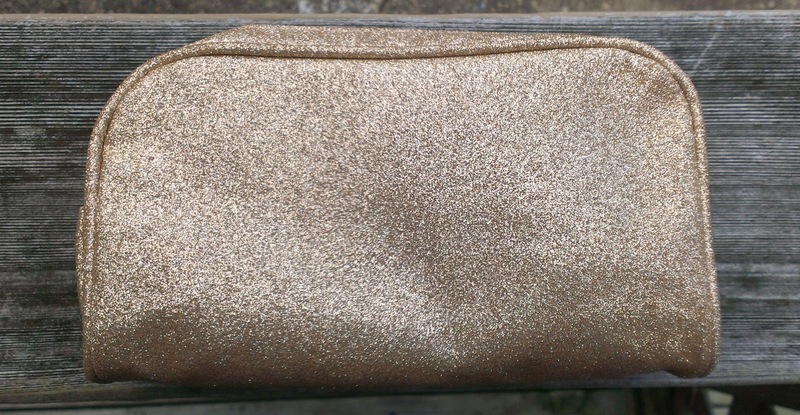 I've mentioned before that I'm not really a fan of the glittery gold that they used for the bags in these kits, but I like the size and shape of this one - I think it'll come in handy for travel. All in all, another great kit and value from BE. I look forward to playing with all of the products this weekend. What new products are you playing with these days? 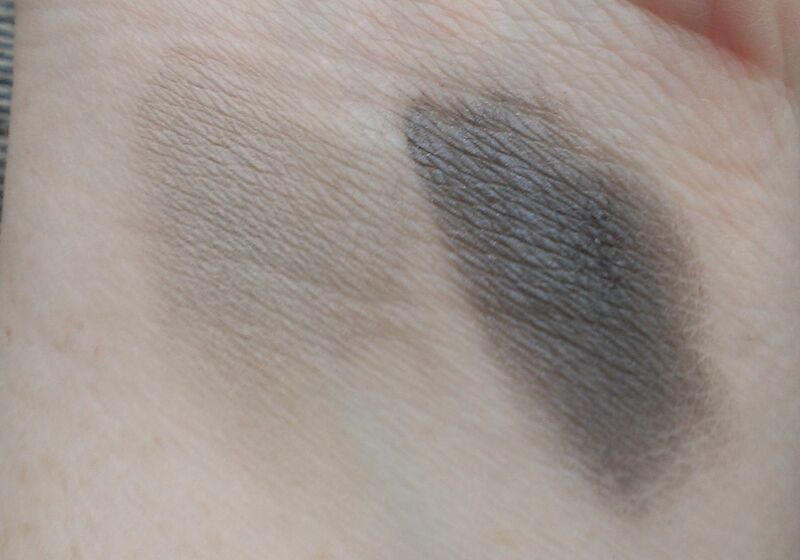 I've been playing with - and loving - the new Sonia Kashuk eye shadow quad I picked up at Target last week. 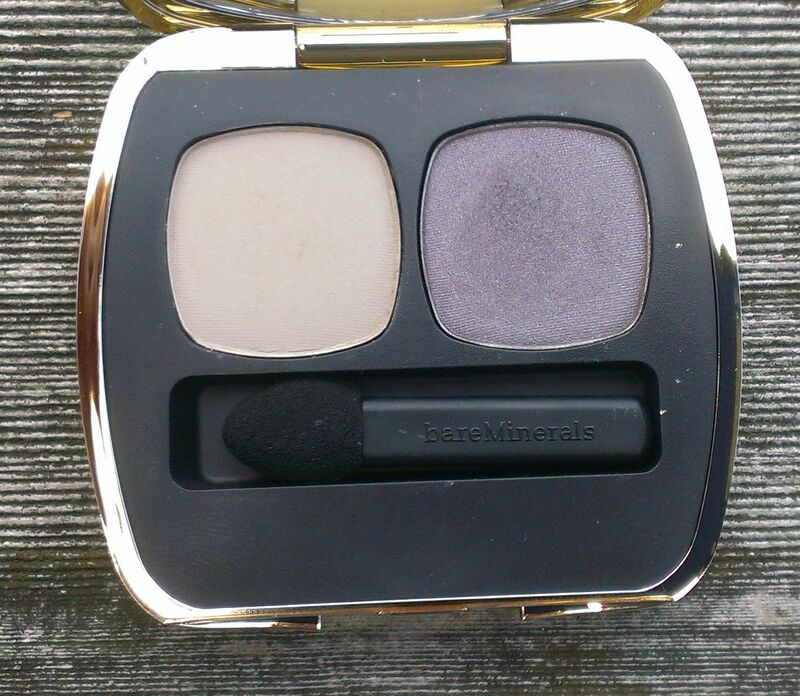 Called "brown eye'd girl" this small palette has 4 shimmery/glittery shadows - silver, gray, purple and khaki green. I can't describe them as well as Jennifer could, but whenever I wear one of SK's glittery shadows, I always get compliments on my eye makeup. For less than $15 bucks, you can't go wrong. Urban Decay's Stardust Eyeshadows (which I don't think are available anymore)because they have an almost glistening look on the eye. Of course, the SK palettes are a much better deal.